Shattered Aegis is the first expansion for Omen: A Reign of War. The expansion adds 20 new units, once again illustrated by Michael ” Riiven” Ng, to the base game that can be used in the standard game or the draft variant, but also in 3 new game play variants: Test of Skill, Grand Melee, and Pure Deck Building. Test of Skill gives each player an identical deck of 40 units (1 copy of each unit from the base game and expansion). Grand Melee is a 4 player swiss-style draft variant, where each player drafts and builds his own deck of 10 units to play against the other players. 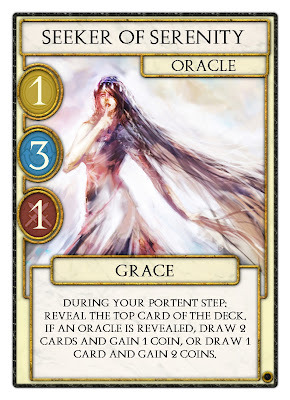 Each game one grants a Victory Card, and the first player with 2 Victory Cards wins the Grand Melee. Pure Deck Building allows each player to build his own deck (or decks) to play against opponents who have done the same. 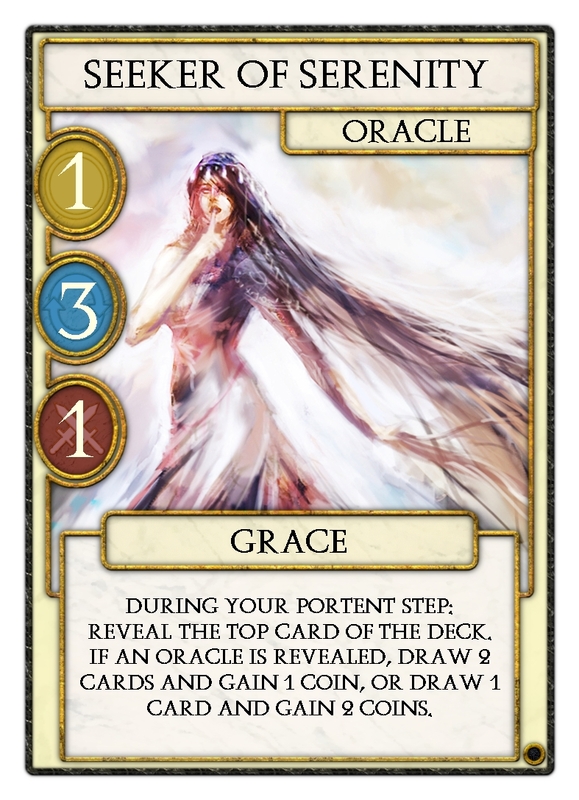 This variant requires both players to own a copy of Omen: A Reign of War and the Shattered Aegis expansion. Aside from new units and play variants, Shattered Aegis also introduces the first status effect: Enrage, which turns non-beast units into beasts for short time, allowing players to turn the tide of war in their favor, help achieve a feat, or turn the opponent’s most threatening unit into a mindless beast.